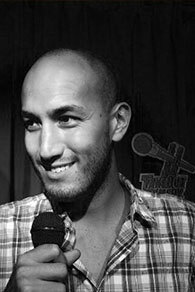 It took 7 months of unemployment before Ben got desperate enough to try standup comedy for the first time in exchange for free beer. Thankfully, the audience members laughed (all 3 of them) and that’s when his dream started to become reality. Like many births, he started with a bang and has continued to ride the waves of comedy, settling on the shores of the TakeOut Comedy club as a regular comedian on weekend rotations. Armed with amusing observations about life in Hong Kong and his hybrid heritage as a Chinozzie (that’s short for half Chinese, half Australian), Ben has inflicted himself on audiences with an arsenal of accents and an infectious stage presence (note to audience: no masks required). Only doing comedy since Spring 2014, Ben has already opened for Tom Segura, Pete Lee, Chad Daniels, Michael Harrison and Paul Ogata. We are pleased that Ben has finally found a day job in investment banking but as a sucker for free beer, he’ll continue to moonlight as a comedian.